Tim Kelly was born and raised in the Baltimore area, where he still resides. His interest in art started in his sophomore year at Brooklyn Park High School. He earned his B.A. in 1992 from Maryland Institute College of Art, where he was an illustration major. A freelance career followed, illustrating books and audios, limited edition prints, stamps and portraiture. About 10 years ago, family responsibilities led to a career change -- CDL driving! After a couple of years' lull in artistic pursuits, Tim's interest was revived by plein air and direct painting. Freed from the demands of art directors and deadlines, Tim's output in recent years has been the highest of his life so far. Nationally recognized, Tim captured an unprecedented five top awards at Plein Air Easton 2017, the largest and most prestigious plein air painting competition in the United States. 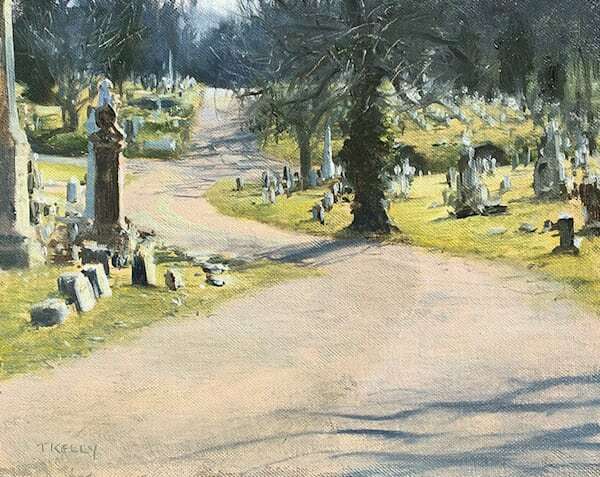 In the past five years he has won an astounding 30+ top awards at regional plein air painting competitions. 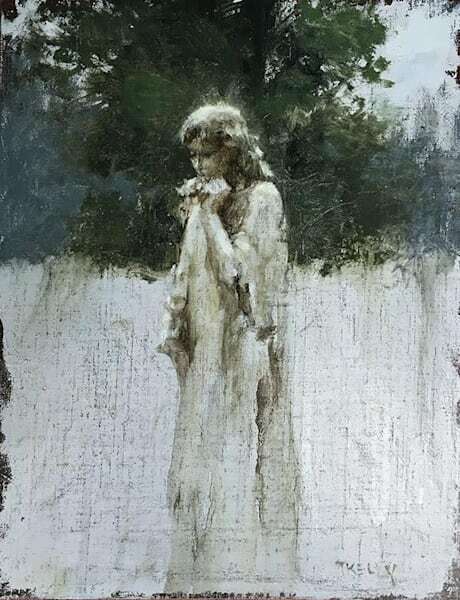 Most recently, in September 2016, Tim was invited to enter two of his paintings into the American Masters Show at the prestigious Salmagundi Club in New York City, alongside some of America’s most recognized artists. Tim is an “artist’s artist”, a versatile master painter whose greatest talent lies in turning the mundane into the sublime. His work features everything from nighttime boats in the harbor to burlesque performers to city scenes and landscapes. Even harsh aspects of the city are rendered a bit more beautiful, a bit more romantic -- whether a street-lit back alley, a boat docked in the night, or the inside of a bar. Tim’s careful, sensitive translation of the real world into the painter’s world reveals a detailed, parallel universe of beauty that is usually hidden in plain sight. Artist's Statement: At some point in virtually all grade school art classes, the "draw a shoe" assignment comes around. It's easy to discern which kids have genuine talent after this assignment. It's the kids whose drawings of a shoe look most like a shoe. In my artistic pursuits and interests, I've never strayed too far from that commitment to observational fidelity. My intent is to get it right - the color, the drawing and proportions, and the overall essence of whatever it is I am documenting. There is no flight of fancy, no pursuit of the poetic, no emoting. All of those things, if they exist in my work, are incidental to the simple goal of painting what I see. Another more recent artistic ideal is that of directness. I seek out an unfiltered and direct portrayal of a selected scene. Editing is dictated by the constraints of time and the limitations of my abilities. None of us can match mother nature. There are thousands of bits of information in everything we look at. Part of my artistic process is determining and recording the most important of these bits, because I can't possibly record all. My lack of perfection, serendipitously, leaves something to the imagination of the viewer. An appealing painting can result. Clearly, this is a "journey is more important than the destination" endeavor.